We build beautiful backyard environments that provide a place of fun, relaxation and beauty for you and your family to enjoy. We can provide exciting remodeling options to bring a dull, time-weary pool back to life in more beautiful ways than ever. 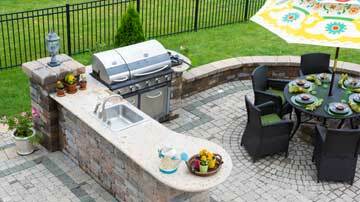 Our outdoor kitchens include the basics such as custom grill and mini-fridge frames, as well as customized features like lighting and multi-colored tile designs. Customer service is our number one priority. Your trust is something we strive to earn every day, and your satisfaction is always our first objective. 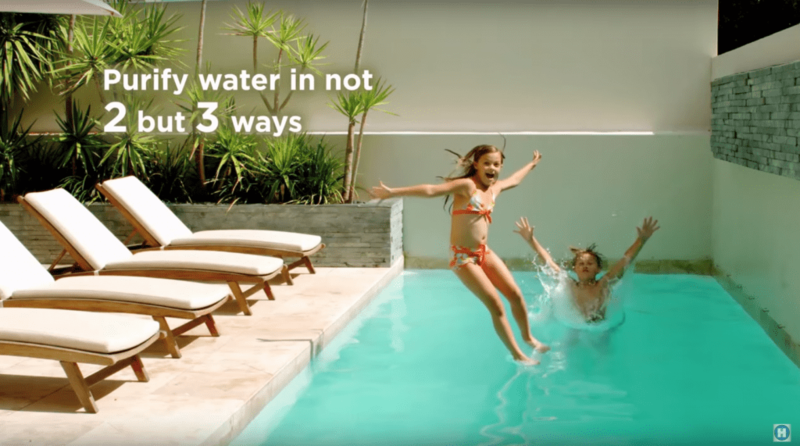 We are confident that a Landau Pool will enhance your lifestyle by turning your backyard into something you are proud to own, and into a true paradise for your family. We have built a reputation in Apple Valley, CA and the surrounding areas as being a leader in the pool builder industry. Our large customer base has grown not only with new clients but on a tremendous amount of referrals as well. 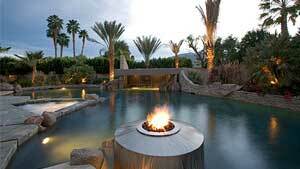 Let us be your choice when choosing a pool builder in the Apple Valley community and surrounding areas. We know we will make you extremely happy! We are very happy pool owners thanks to the professionalism and high quality swimming pool construction we received from Landau Pool Construction. He made the process very easy and accommodated our requests not only in the construction, but also kept us informed of what to expect each step along the way. 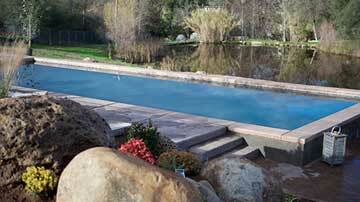 Based on our experience, we strongly recommend Landau Pool Construction as our preferred pool builder. Landau Pool Construction far exceeded our expectations in every aspect of our pool design and building experience. Robert Landau’s design, options, and personal input allowed for us to create a dream pool that fit both our needs as well as budget. Robert Landau was the ideal contractor that succeeded in all areas of the construction process including: design, product quality, schedule, communication, and final product. Robert Landau was always on target, courteous, and ensured we were happy with all aspects of the build process. My experience with Robert Landau and Landau Pool Construction has been quite positive. After an initial inspection of our pool equipment, he gave competitive prices for new components, but also suggested that the pump and filter already there would likely be sufficient for some time to come. I will use him again in the future, and feel confident in my recommendation of his business ethic and knowledge of pools. I am writing this note as a letter of reference for Bobby Landau. Bobby has always been available and responsive to any and all of our pool and spa needs. He currently services both my pool and my in-laws. He is knowledgeable and is able to troubleshoot any of our issues. I recommend his services. So after receiving 4 estimates from different pool companies we had decided to go owner/builder on our pool project. While researching & contacting sub-contractors I ran across Landau Pool Construction. Bobby Landau's proposal was about $7k-$15k under the other pool builders quotes. The substantial savings & our inexperience with pool construction made us reconsider owner/builder. Landau Pool Construction used quality, licensed sub-contractors that did a fantastic job, and delivered a beautiful pool & spa in about 45 days. Bobby was knowledgeable & a pleasure to work with. Our family couldn't be more pleased! We got the pool we wanted at the price we wanted. We just had to have our pool "re-modeled" due to leaks and cracks and after getting several estimates we used Landau Pools. They were wonderful! They were very quick and my pool was ready for swim season! Bobby Landau stayed on top of the project at all times, they even added some special touches. Their prices were comparable but the work was above and beyond. It was the most positive experience I've ever had, and we've had a pool built before. I would HIGHLY recommend them. We had gotten quotes on our pool. Landau Pool Construction came in way less and gave way more for our money. Bobby is awesome he was here every step of the way. He even went beyond by finding a tree removal person for us. We are extremely happy with the remodel of our pool. We will continue to recommend Bobby and Landau Pools to everyone that we can!! Thanks again Bobby!! My husband is the type of person that makes no decision without tons of research. After many appointments with pool builders, he made the decision to go with Landau Pools for our long awaited pool! This was the best decision he could of made. Bobby met and exceeded our expectations, he is very professional and answered all of our questions and concerns. We are so very happy with our pool and jacuzzi! Thank you Landau Pools for making our dream pool come true!!! This is the over analytical husband of Sheila E. We would be remiss if we didn't mention a few more things. We were working with a very tight budget and let all pool builders know this fact. As a result, several builders refused to come out or provide a bid as our budget was not large enough for them. Bobby didn't hesitate with his bid. What you don't see in the picture my wife provided is a couple of cascading waterfalls and colored LED lighting that cycles through various colors. We got a great pool for a reasonable price. Do yourself a favor and give Bobby Landau a call. You won't be sorry! !